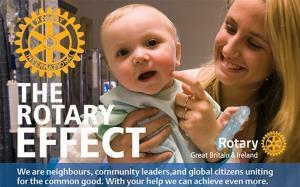 Rotary Nailsea and Backwell - welcome! Please scroll/swipe down through this page to find out more about us, in addition to the pages linked in the menu, top-left. Sales of pre-used paperback books, jigsaws and handbags. Proceeds used for charitable or community purposes. The next Bookstall is outside Nailsea Waitrose main entrance on 18 May and Handbag stall outside the side entrance on 20 April. 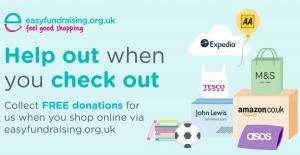 Registered Easyfundraising members who shop online with over 3,300 partcipating businesses including travel agents and retailers can raise funds for Rotary Nailsea and Backwell at no cost to themselves. Find out more by selecting this banner. Over 300 people walked or ran with family, friends, colleagues or with other people in June 2018 and raised record sums for charity/local community organisations. Help us to do even better on 9 June 2019 - NEW 10k & 20k ROUTES! click for details. 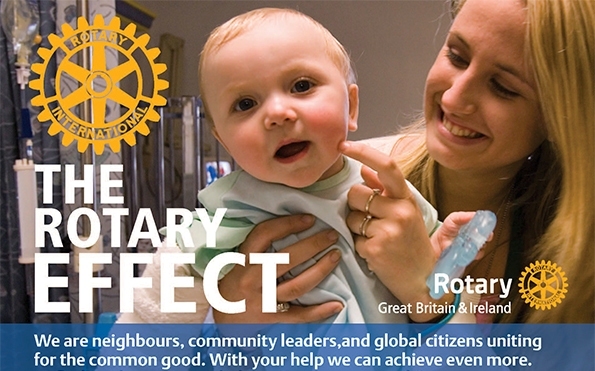 About Rotary International and Rotary Nailsea & Backwell and surrounding areas. Also select this banner if you might be thinking of joining us ? 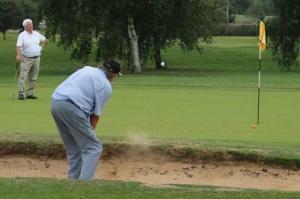 Golf Days organised by The Rotary Club of Nailsea & Backwell to provide sporting days out. The 2019 event will raise funds for The Special Care Baby Unit at St. Michael's Hospital Bristol, Prostate Cancer UK and also for Rotary local charities. A very warm welcome from Nailsea and Backwell Rotary, a member of Rotary International. We have been serving the local and international community for over 41 years. Our local area is centered on the rural communities of Nailsea and Backwell, set in the delightful North Somerset countryside to the West of Bristol, UK. We offer practical service to the local community and raise funds for worthwhile causes at home and abroad. We also have an active social programme. We meet on nearly every Thursday evening at The Mizzymead Recreation Centre in the middle of Nailsea. New members are always welcome. Do follow this link if you would like to know more about us or are thinking that you might like to join us. 20 April 2019 Charity Handbag sale outside Waitrose side entrance in Nailsea. 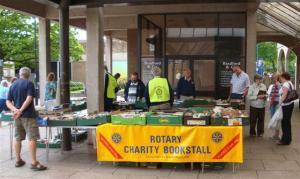 18 May 2019 Charity Bookstall outside Waitrose main entrance in Nailsea. 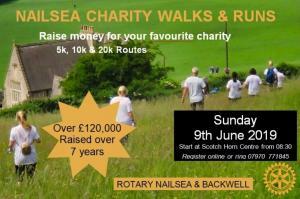 The Rotary Club of Nailsea & Backwell Trust Fund is registered charity number 1038467. Sale of pre-used but good quality paper back books, children's books, cookery books and jigsaws in aid of the Nailsea & Backwell Rotary Trust Fund for use in funding our work in the community. Outside Waitrose main entrance on Nailsea High Street.